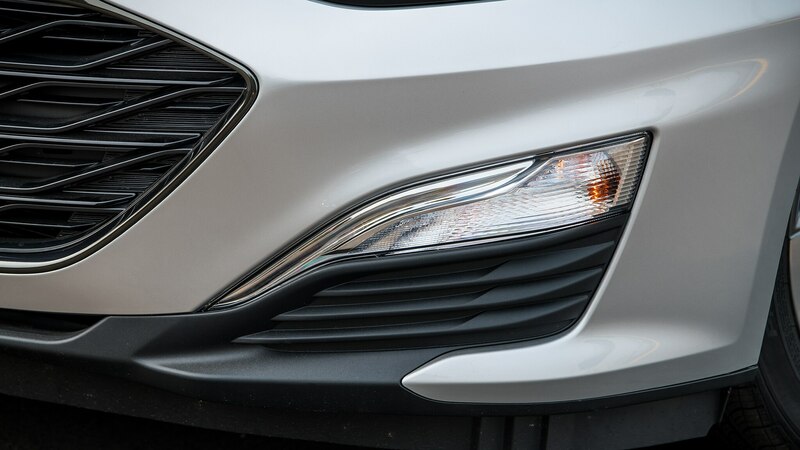 RENTON, Washington — Ford is getting out of the sedan business! 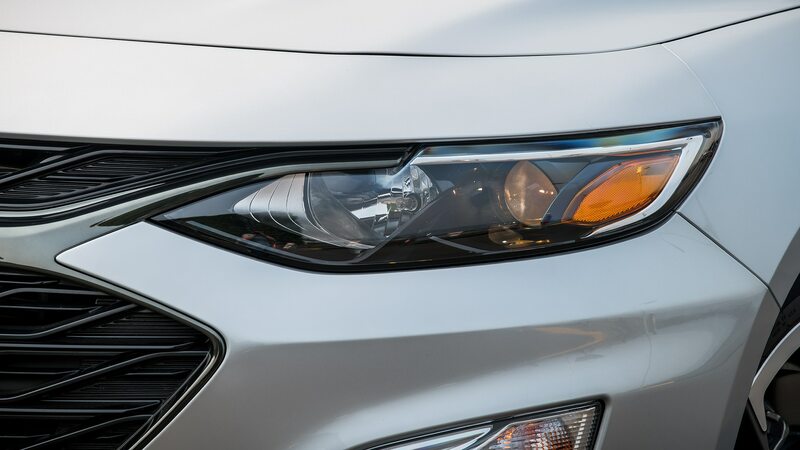 It’s like saying General Electric is getting out of light bulbs or Campbell’s is abandoning chicken-noodle soup. 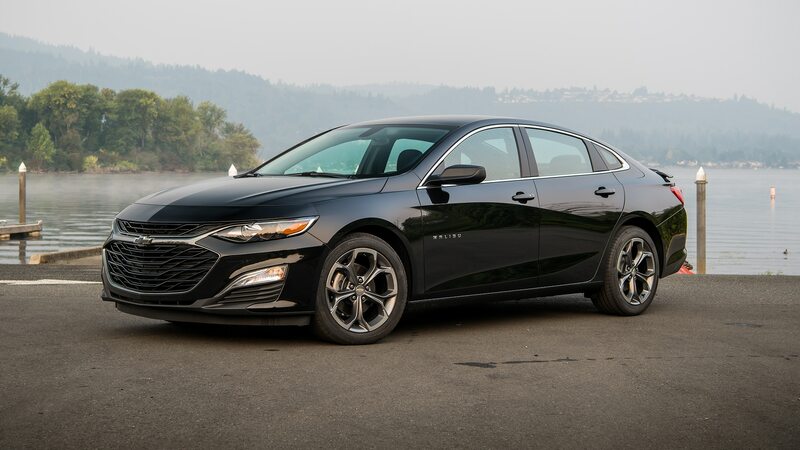 That’s why Ford’s announcement last spring brought activity to a halt in the corridors of General Motors’ Detroit headquarters, in the halls of its R&D and design departments in Warren, and even inside GM assembly plants like the one in Kansas City, Kansas, where Chevrolet makes the Malibu. 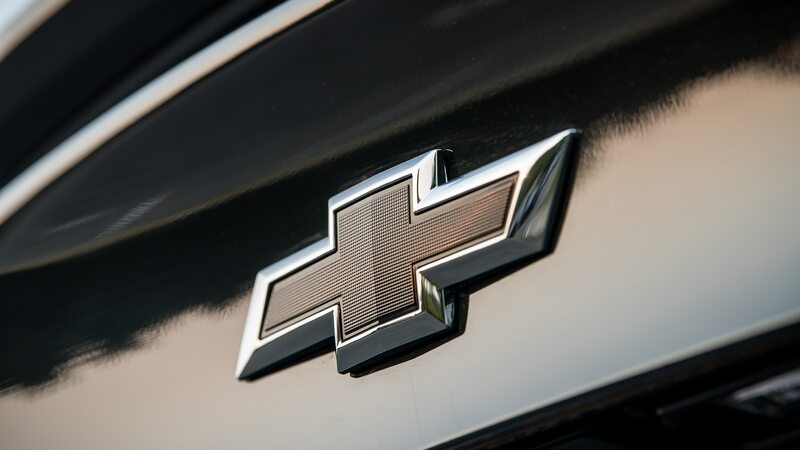 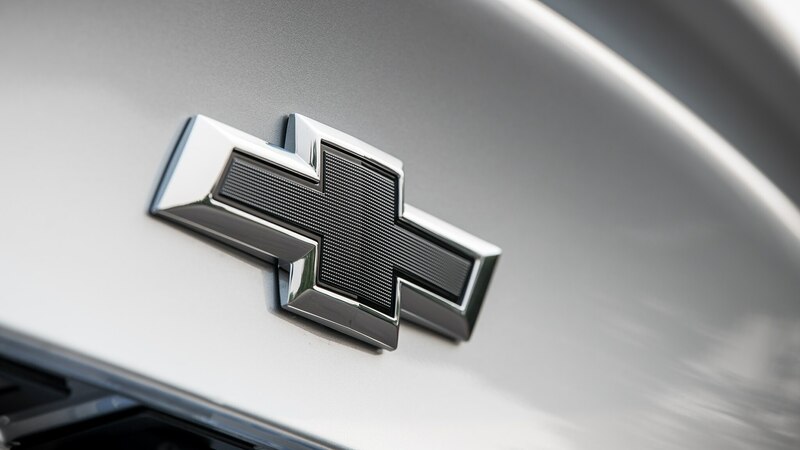 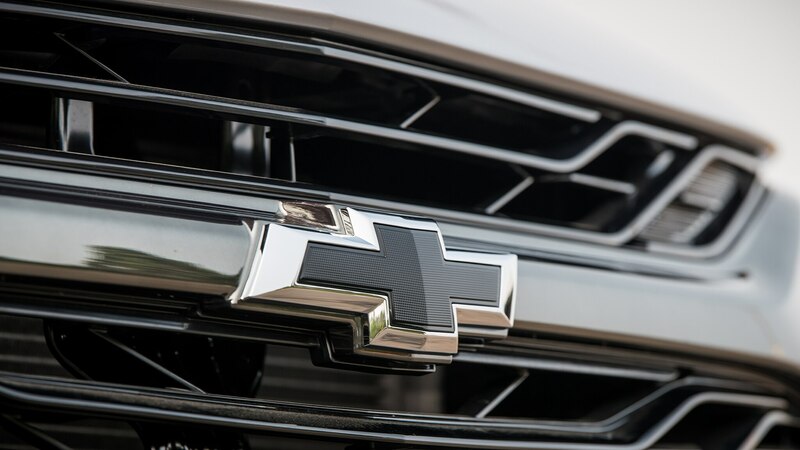 Accustomed to being cross-shopped against the Blue Oval, Chevrolet licked its lips and said, “We’ll take that business.” Gaining market share since falling to a low point in 2014, Chevy today fields a competitive offering in every market segment from mini-utility to supercar. 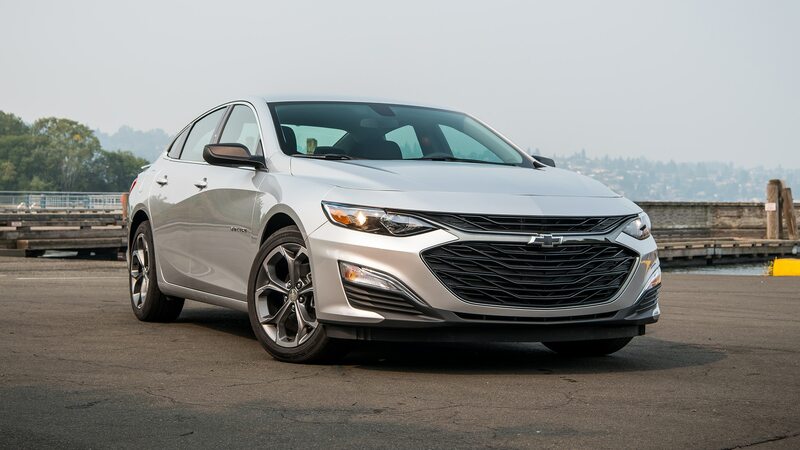 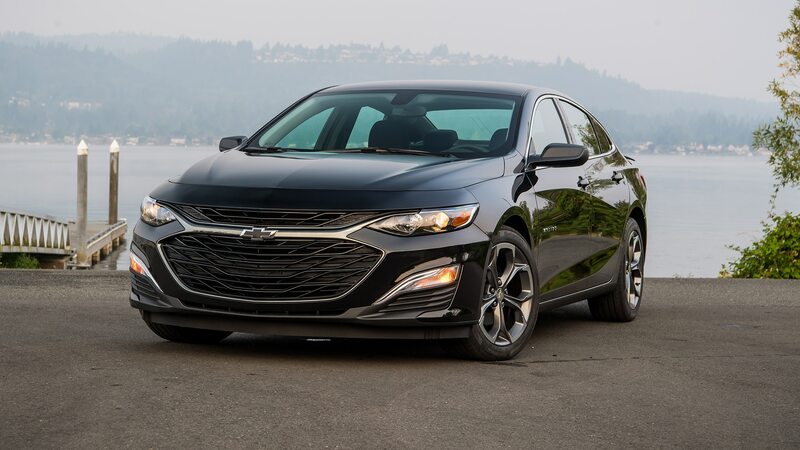 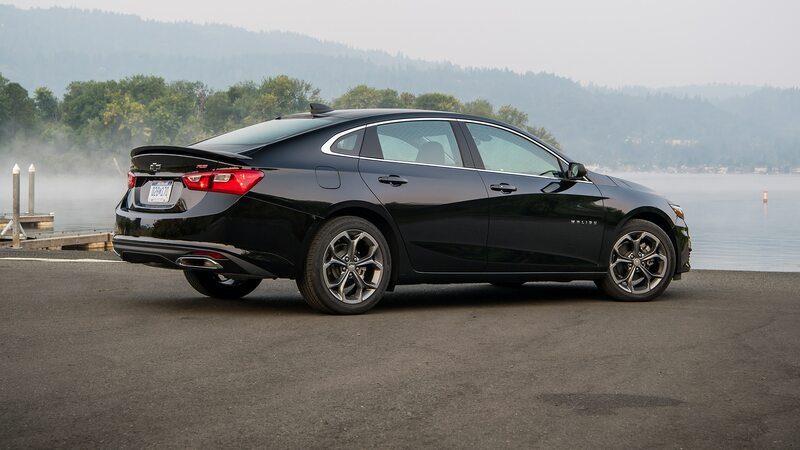 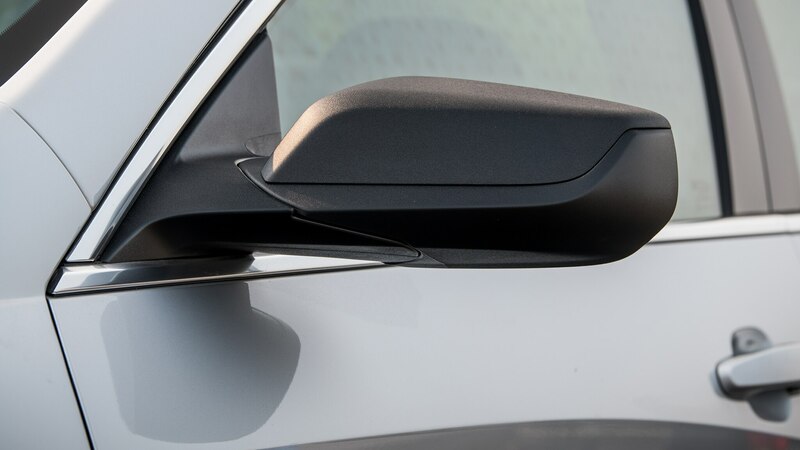 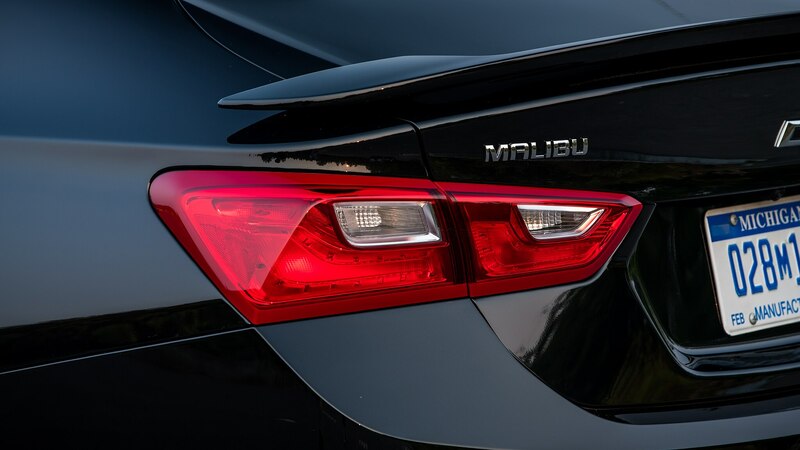 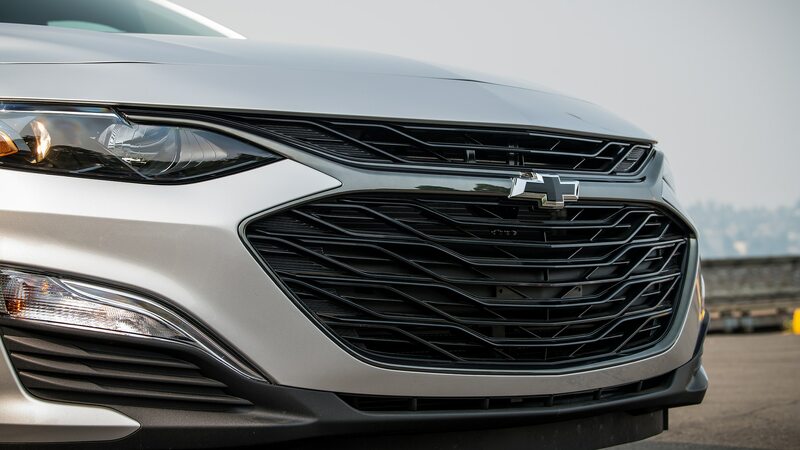 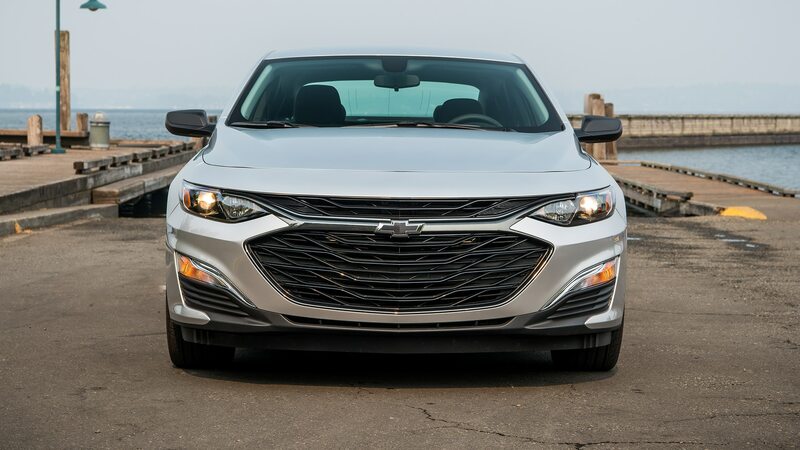 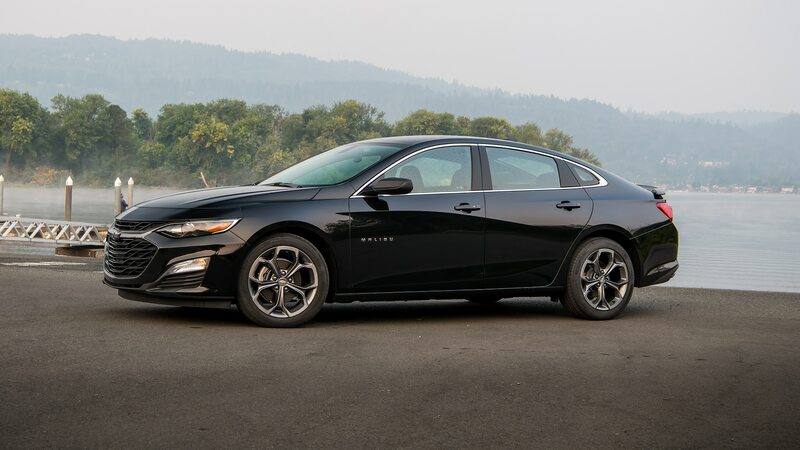 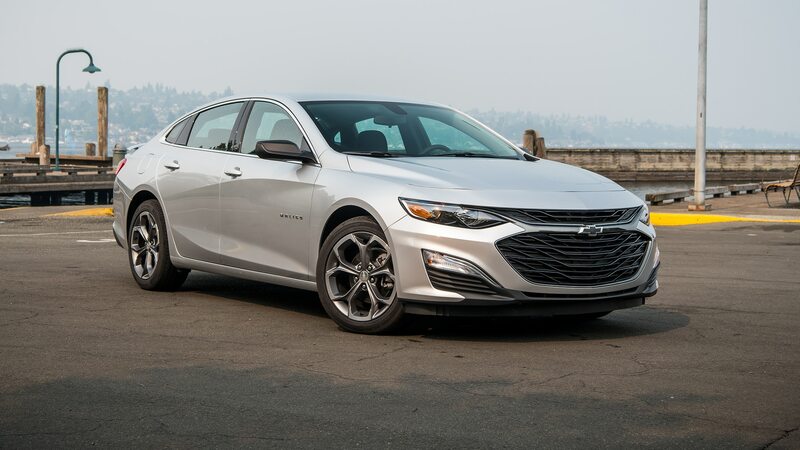 The 2019 Malibu RS is an example how it will “take that business.” Adopting the RS trim level for the first time, the Malibu, which is refreshed this year, is an appealing midsize sedan, especially for $25,995. 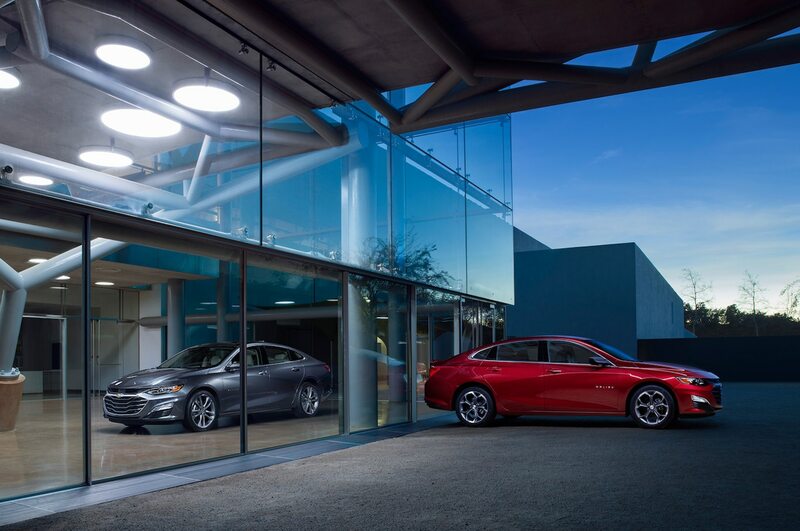 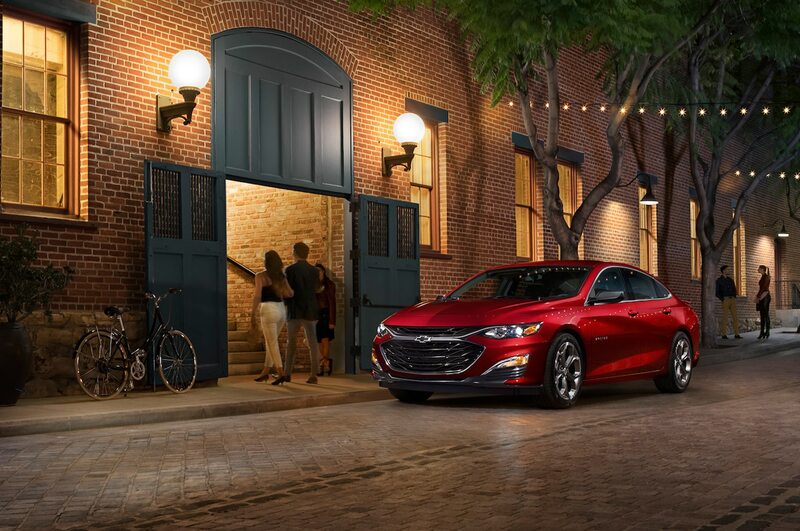 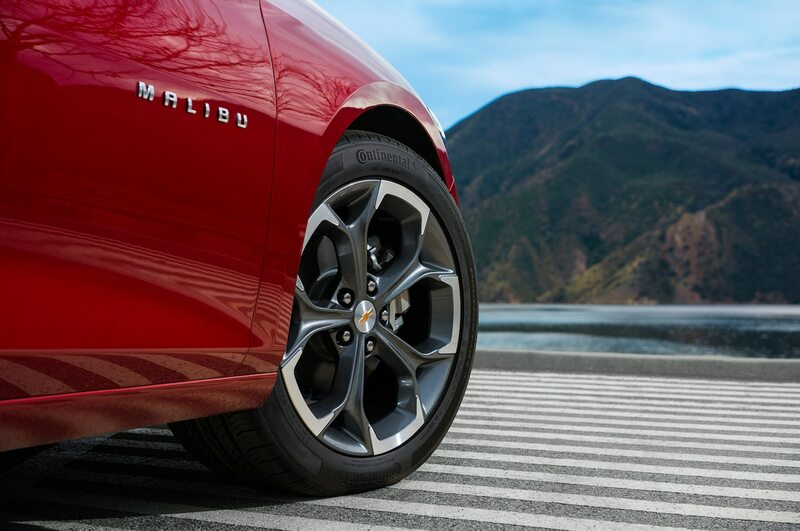 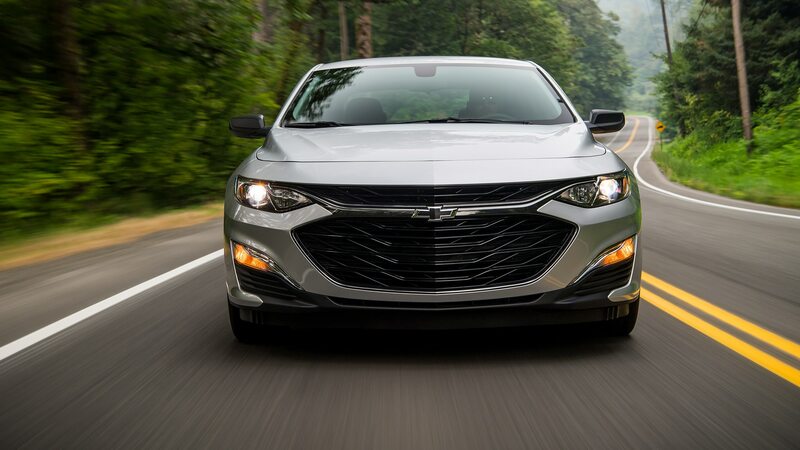 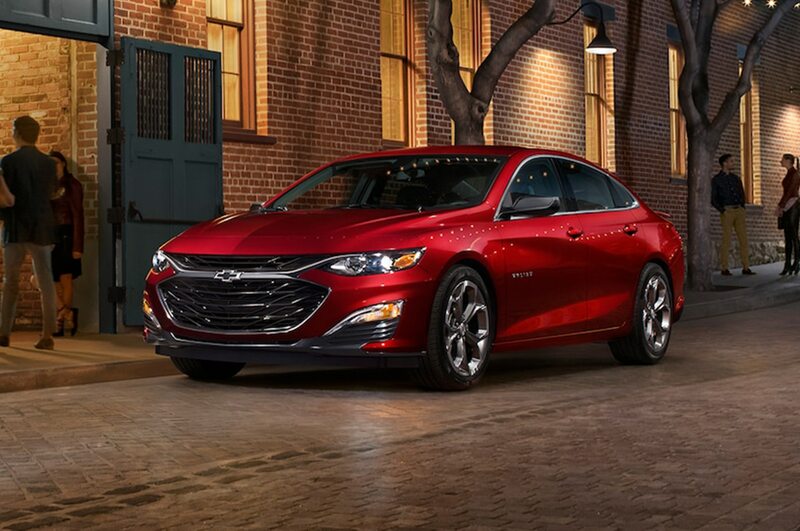 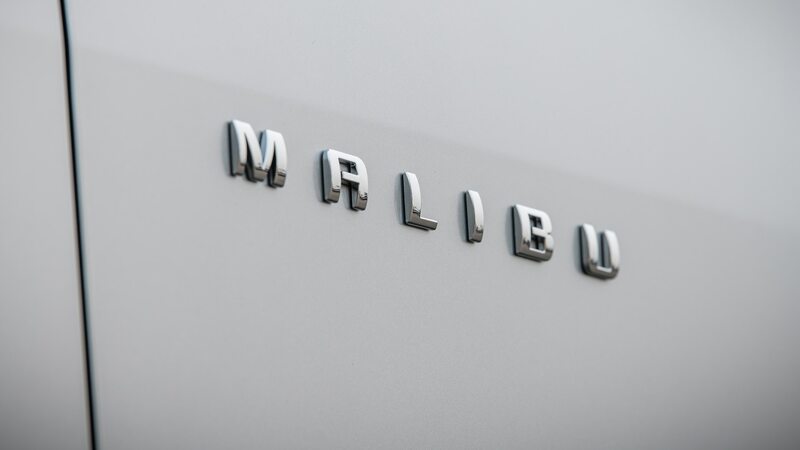 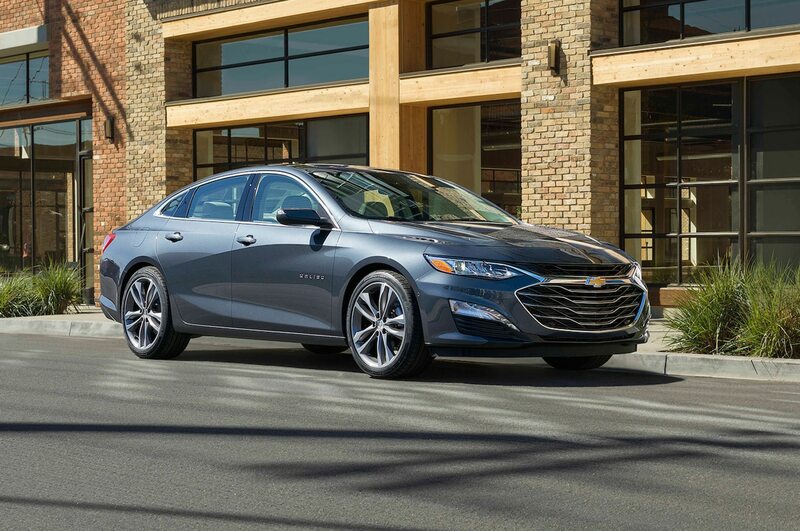 When we first drove the new-generation Malibu in 2016, we were struck by the car’s good looks and refined performance. 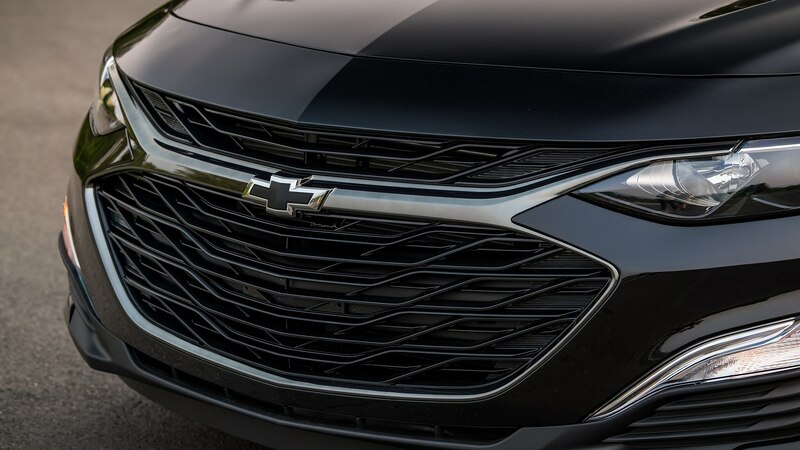 So this model looks like a winner. 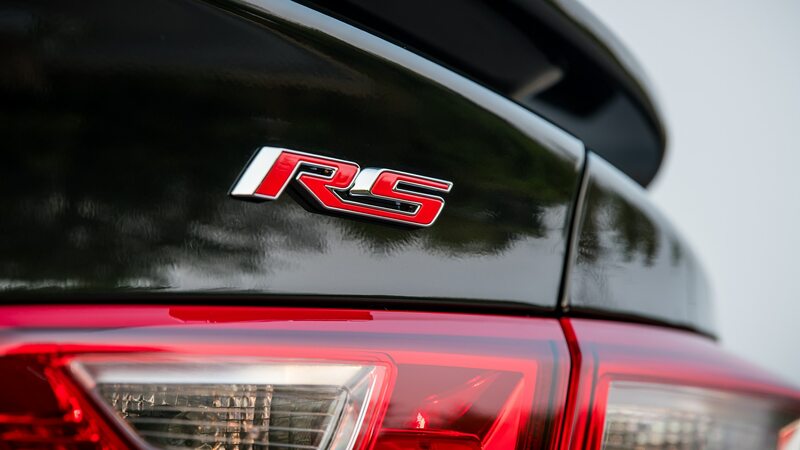 What RS means is the addition of standard showy pieces like the “black ice” trim, 18-inch “staple” alloy wheels, and dual exhaust outlets. 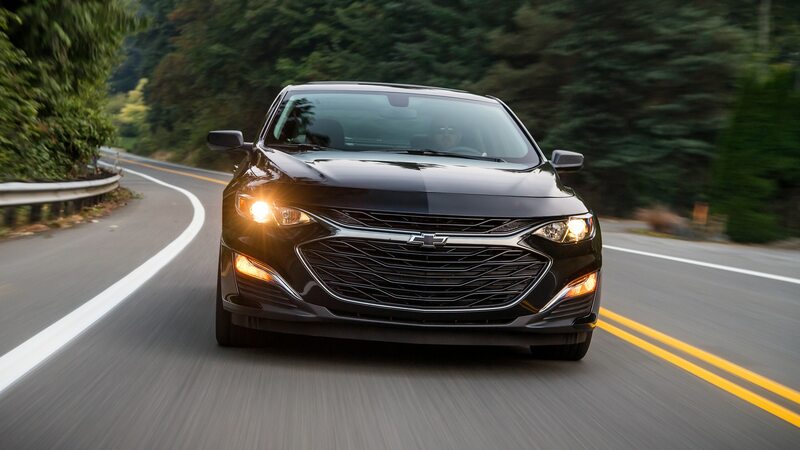 A lot of buyers want the sporty look but are satisfied with the base powertrain, said Steve Majoros, marketing director for cars and crossovers, who pointed out the Toyota Camry and Honda Accord do about 20 percent of their volume with sporty models. 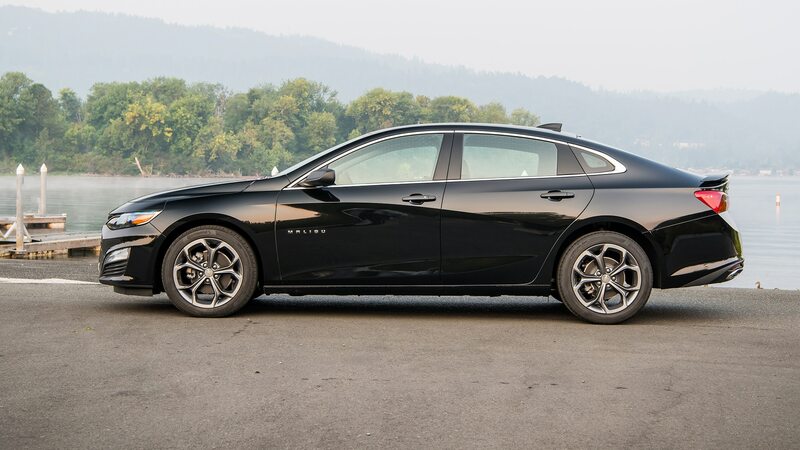 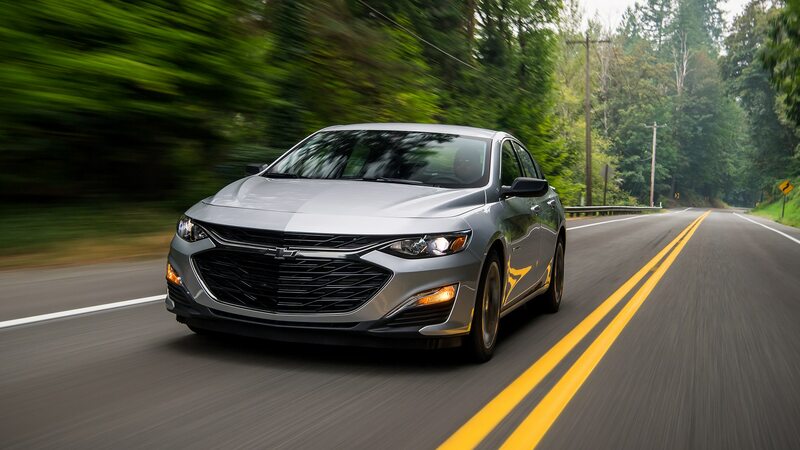 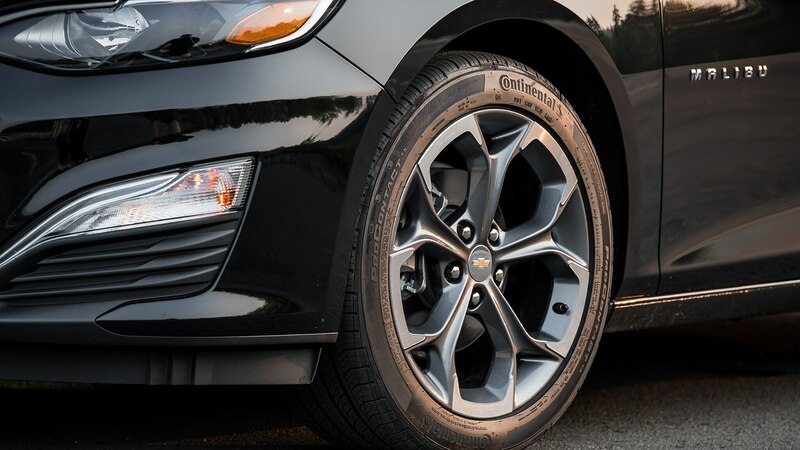 Pushing the limits of “midsize,” the Malibu RS is a vast car measuring 193.8 inches long, 73.0 inches wide, and 57.6 inches tall. 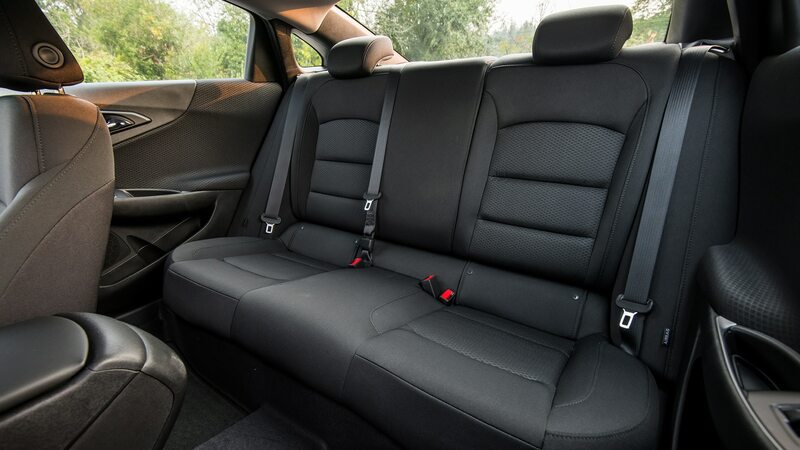 The interior offers 102.9 cu-ft of volume. 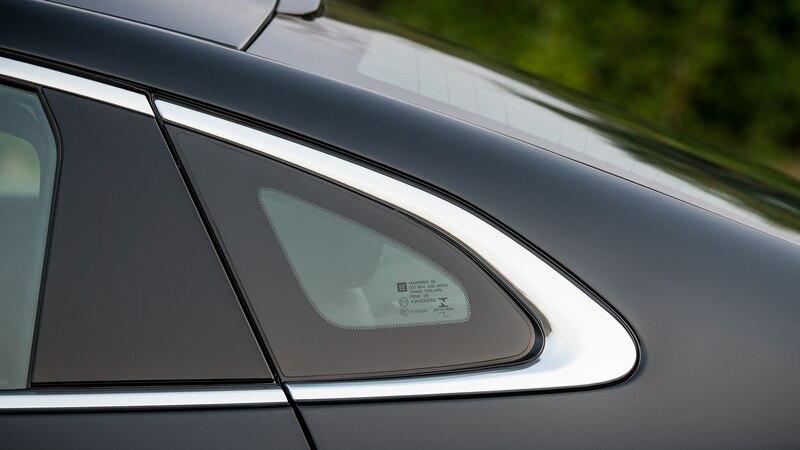 Despite the fastback roofline, it’s easy to get in and out of the backseat, where there’s enough legroom for three ostriches side-by-side, if you could get them to sit still and crook their necks. 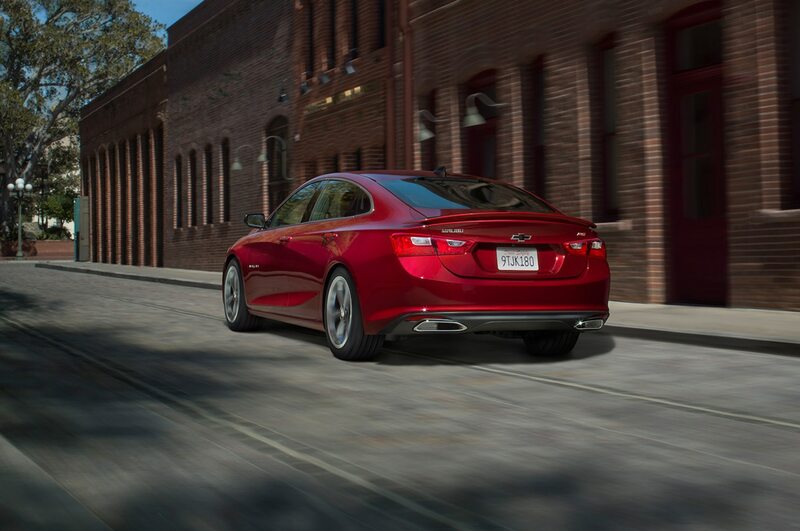 Trunk space brings to mind the Arabian Peninsula’s Empty Quarter. 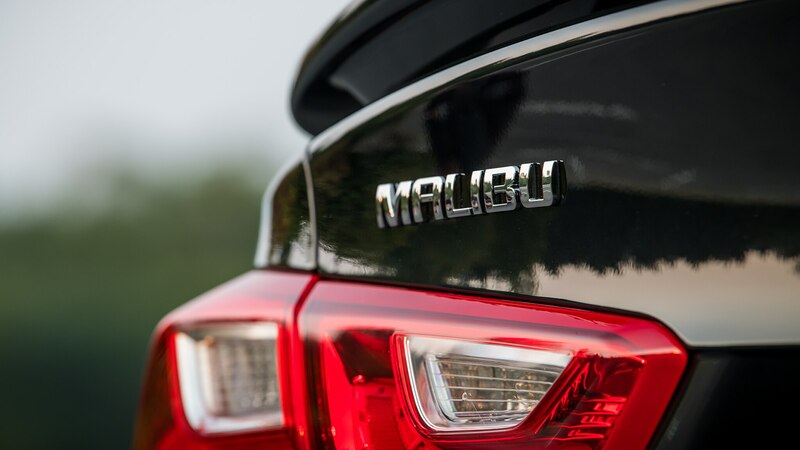 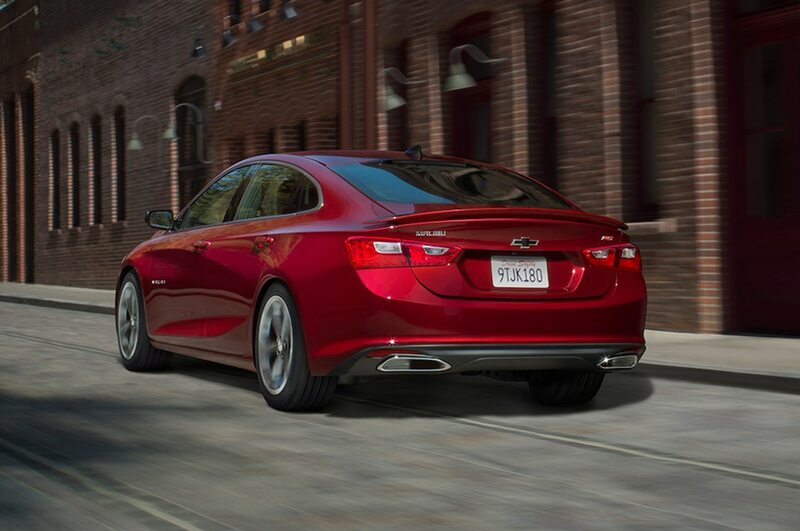 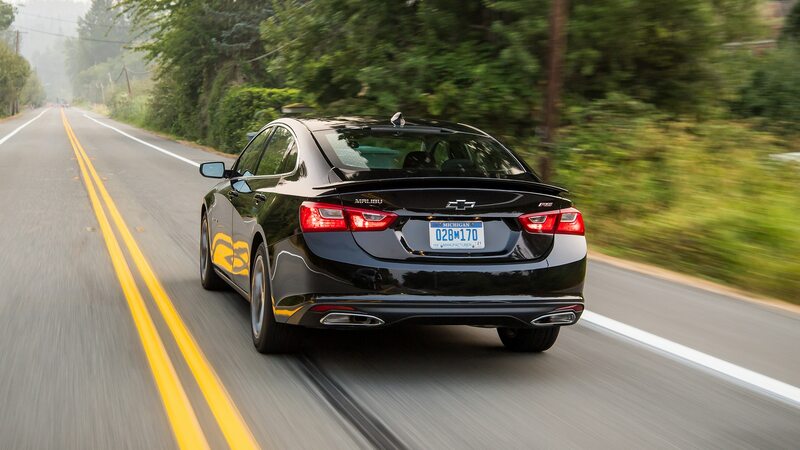 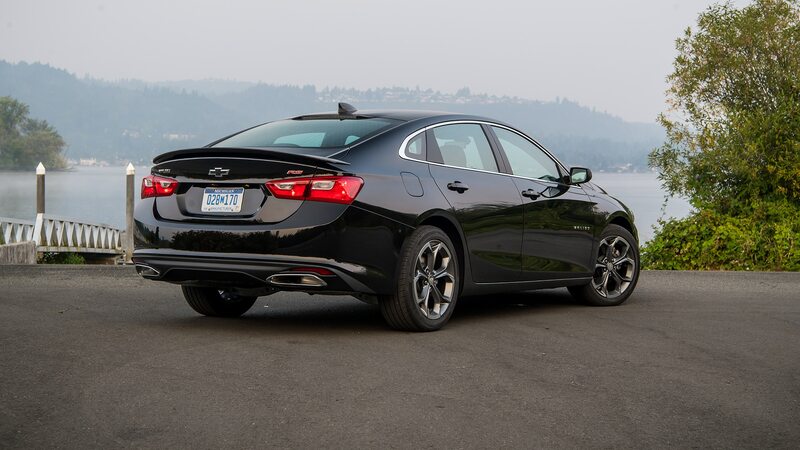 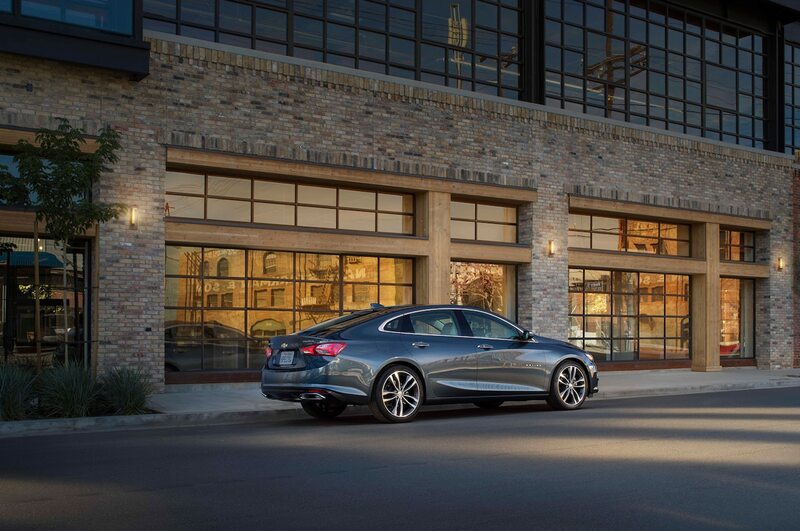 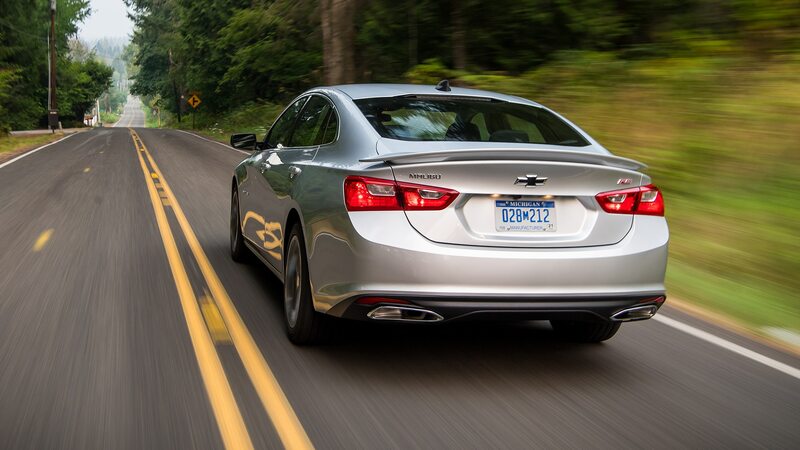 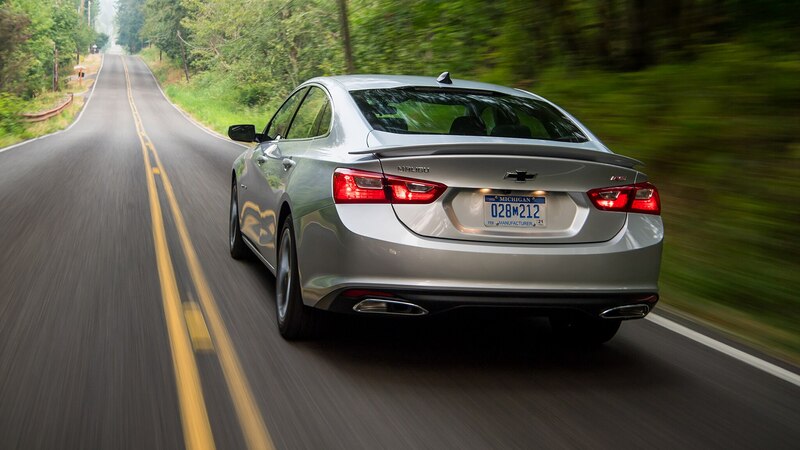 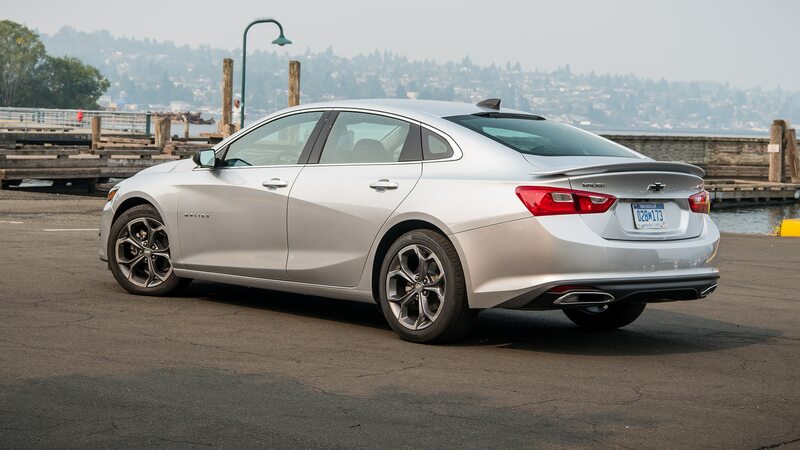 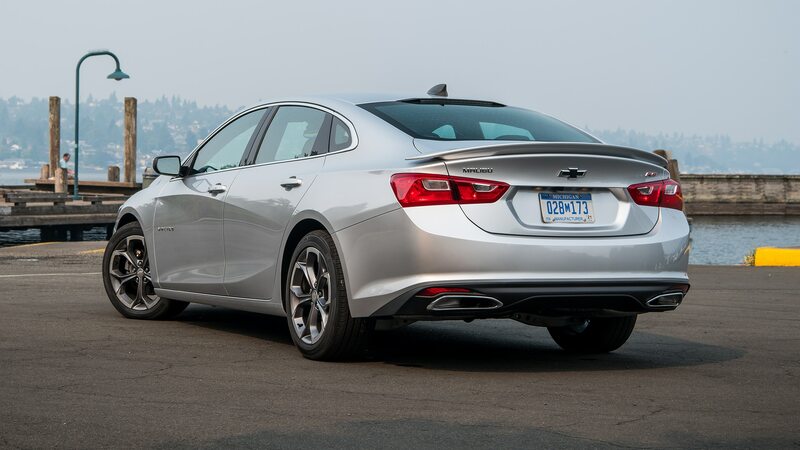 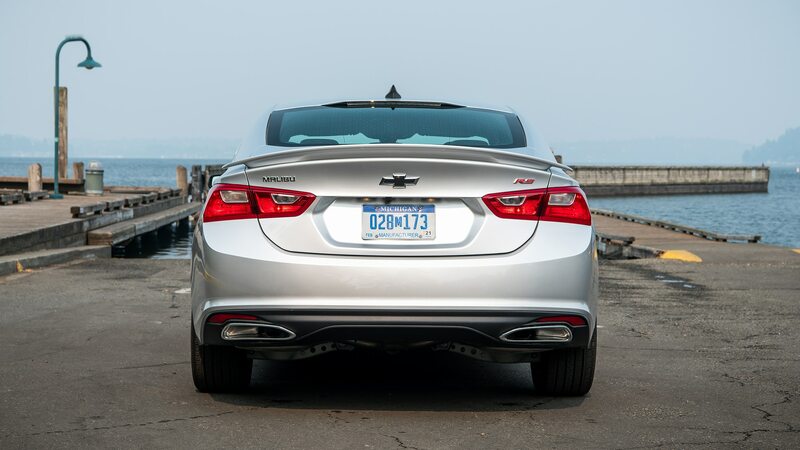 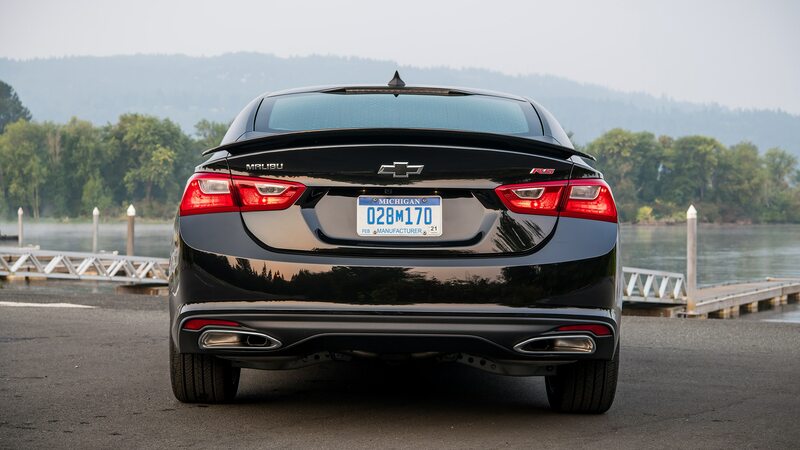 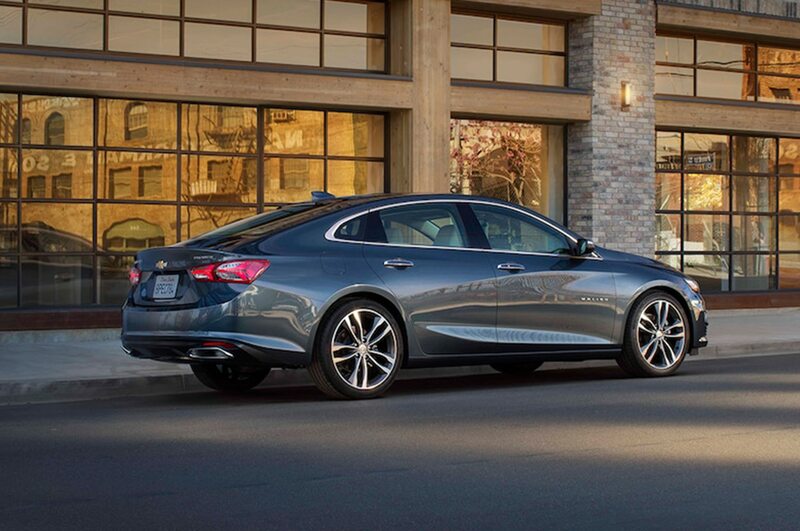 For such a huge car, the Malibu RS isn’t overweight, tipping the scales at just 3,135 pounds. 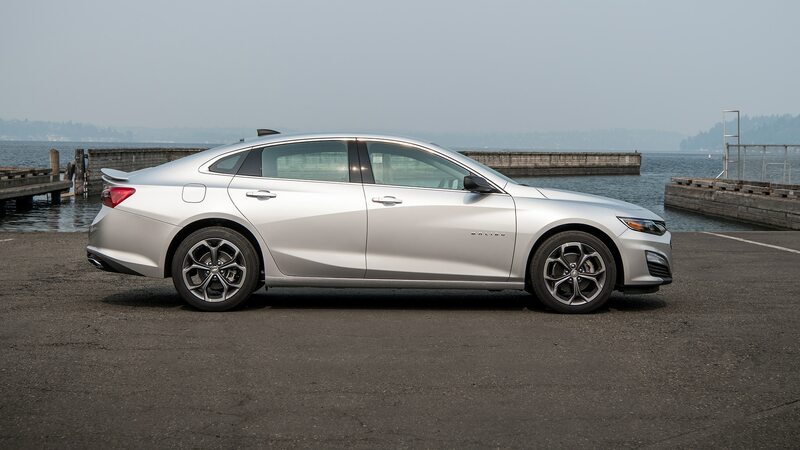 (That happens to be 219 pounds less than the 2019 Camaro Turbo we also sampled during Chevy’s product preview.) 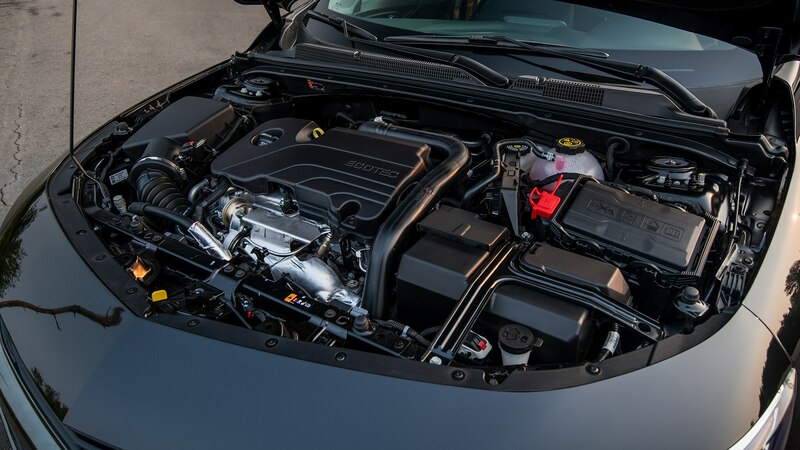 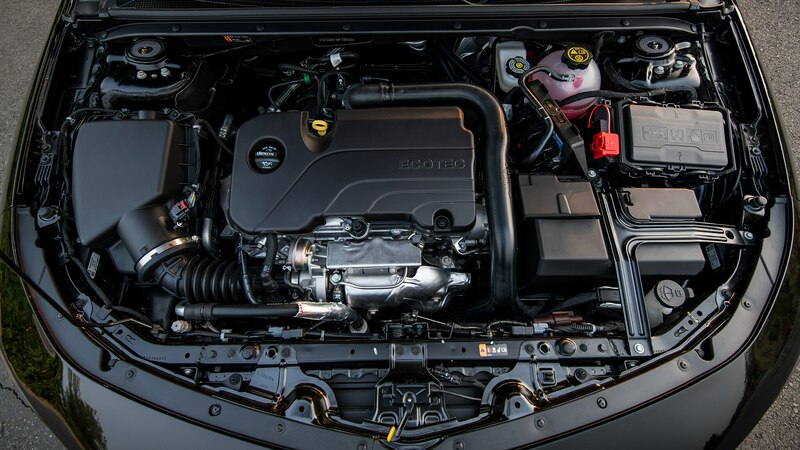 In light of the low Body Mass Index, engineers slipped in a puny turbocharged DOHC 1.5-liter four-cylinder engine that makes 163 hp and 184 lb-ft of torque. 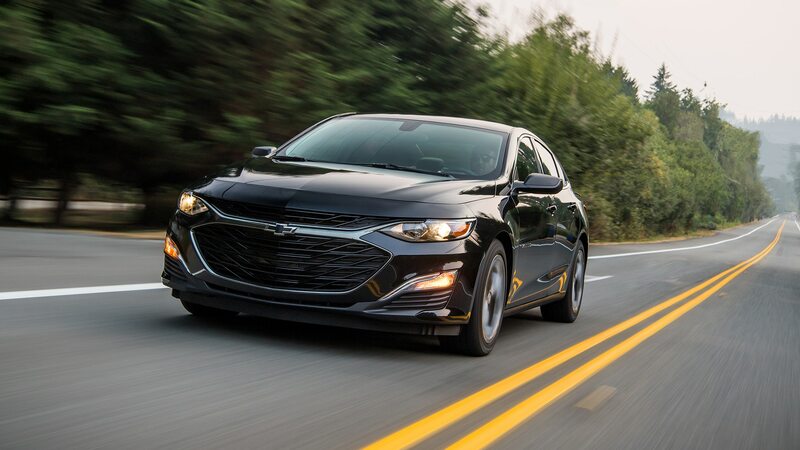 Throttle response isn’t bad, and with peak torque available at 2,500 rpm, the real-world driving experience is zesty. 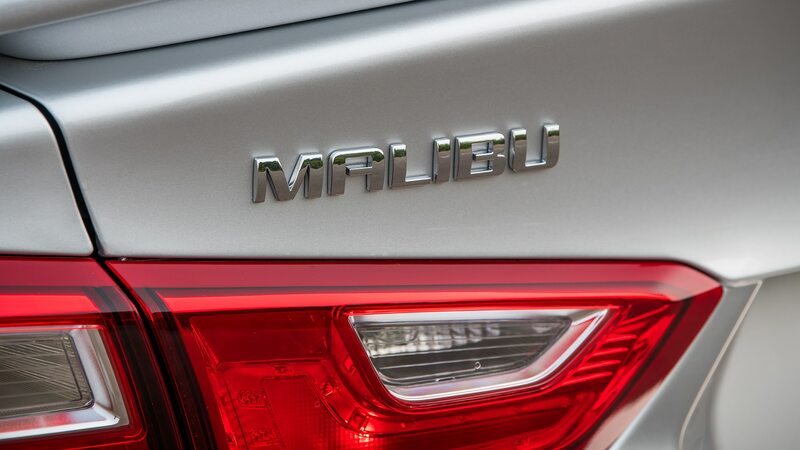 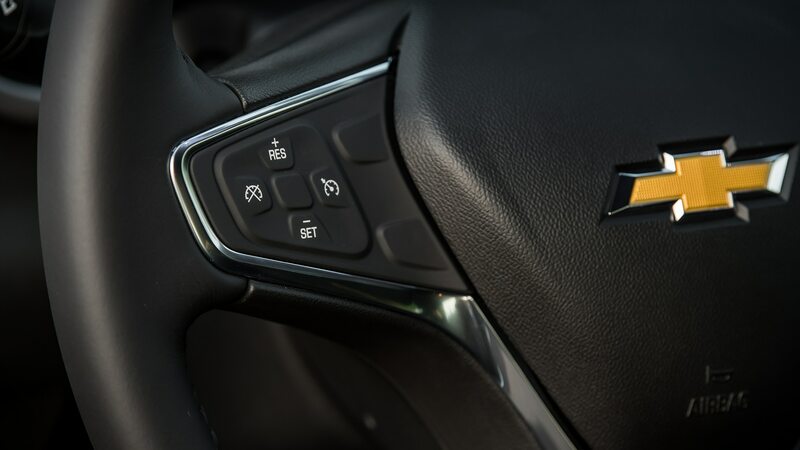 The surprise in the powertrain is the debut of a continuously variable transmission, which is built in-house and is also included in the 2019 Malibu L, LS, and LT. “It creates a driving experience so similar to a regular transmission, drivers won’t even know,” Majoros said. 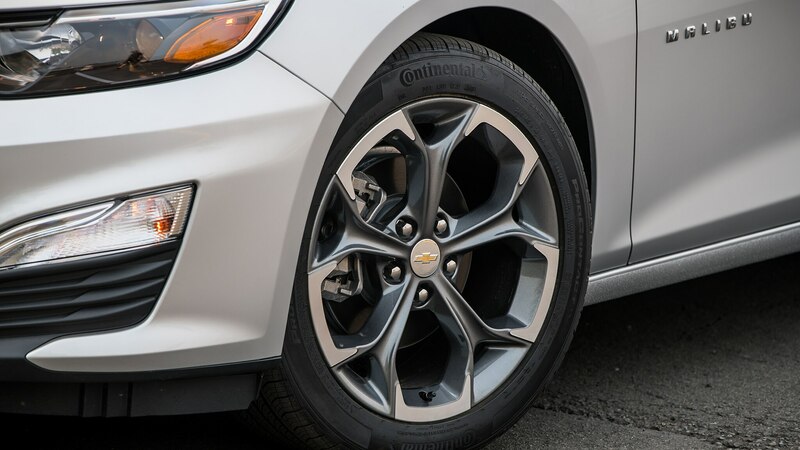 We heard the familiar CVT “mooing” sound when first depressing the accelerator pedal; after that—largely because there were no shift paddles or pre-set transmission steps to emulate gear ratios—we gave no thought whatsoever to the question of meshing gearsets versus stretching belts. 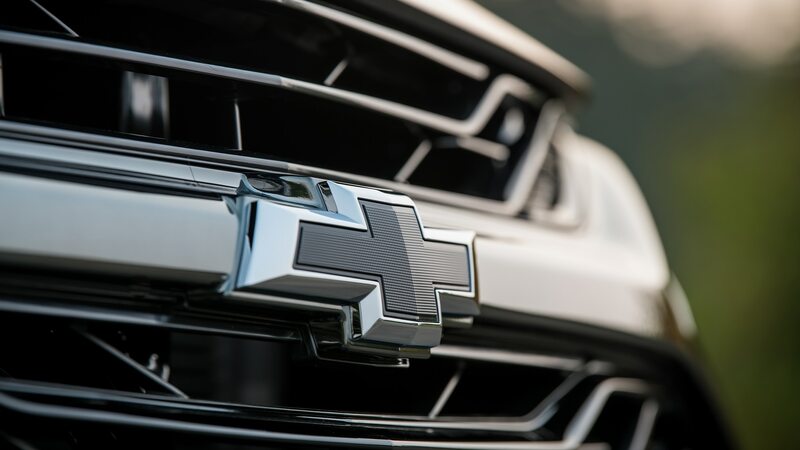 Although Chevy hasn’t yet released final EPA numbers, Majoros touted a five-percent increase in fuel economy thanks to this transmission. 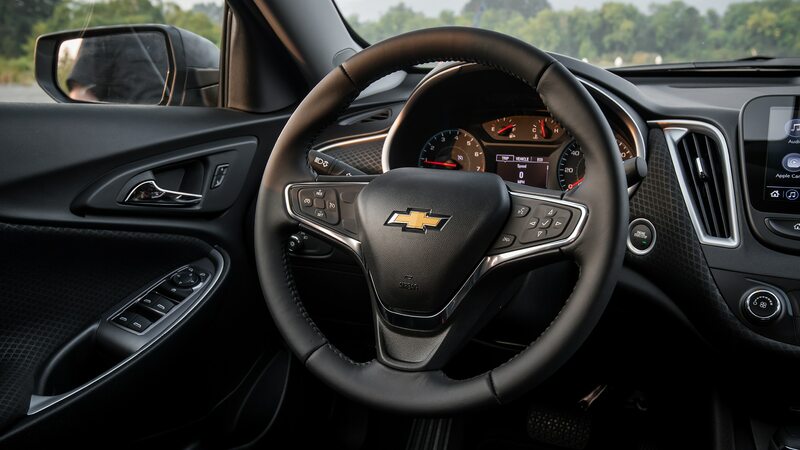 Taking the wheel of the Malibu RS we noticed the huge windshield, deep dash, and fabric trimmings. 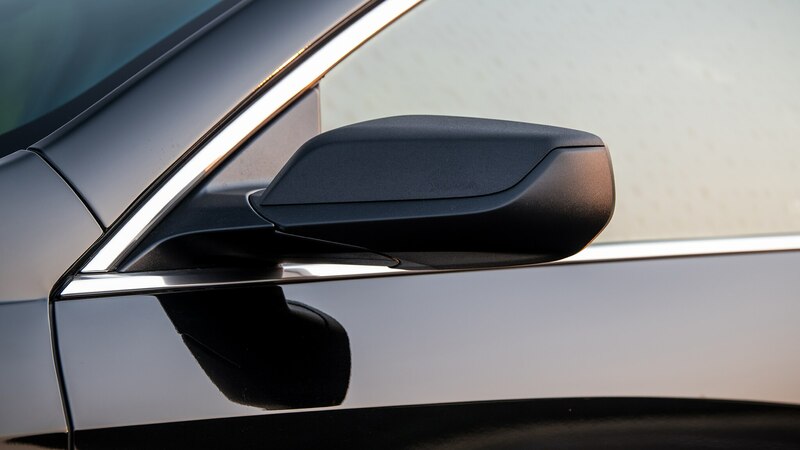 (We also noticed all four door pockets are molded to accept bottles.) 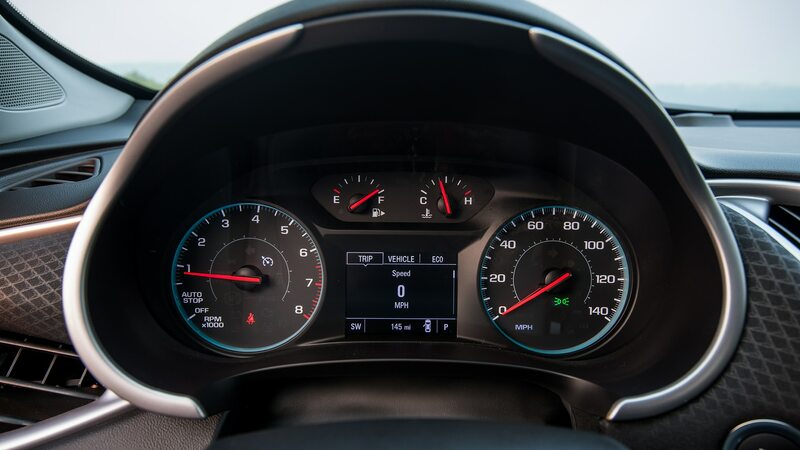 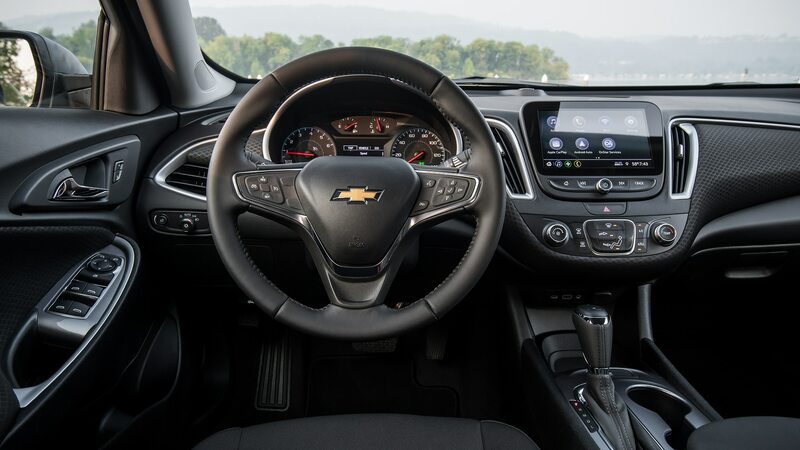 In past years, the take-rate was so high on the 8-inch central display screen that Chevy has made it standard in every Malibu. 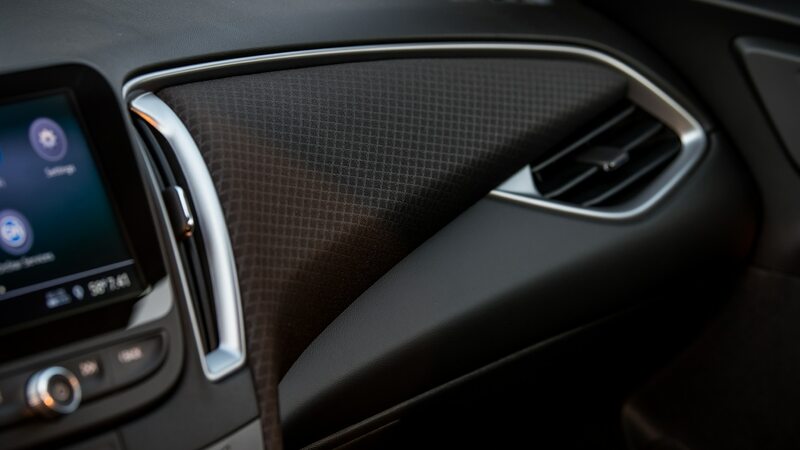 While the interior could be described as Nice Uncluttered Basic, seat heaters are not included nor even available in the RS. 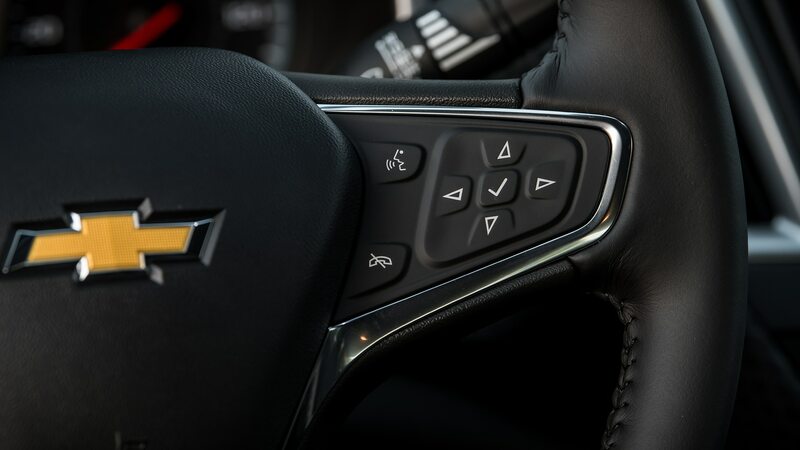 For luxury features, we had to take consolation in the leather-wrapped steering wheel and shift knob. 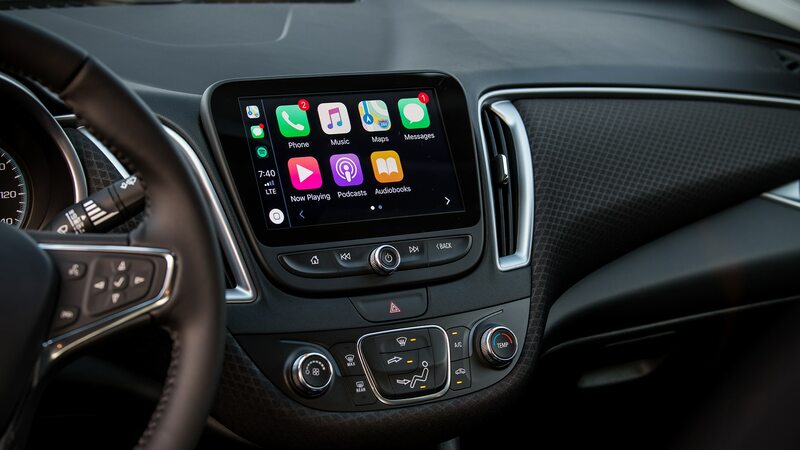 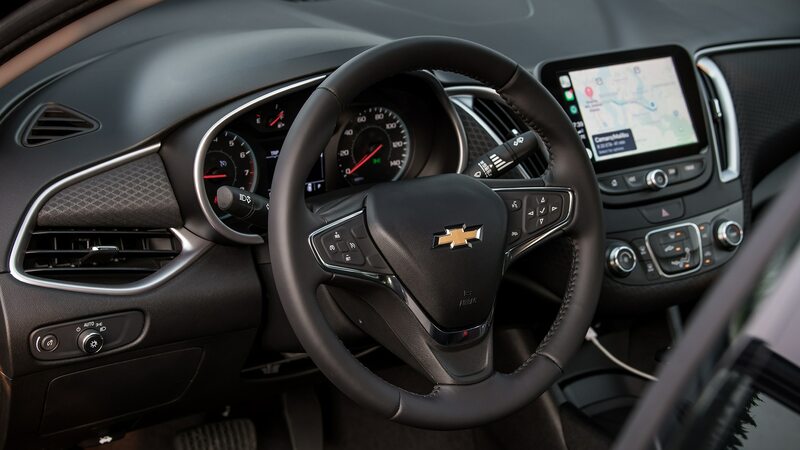 Updated with Chevy’s latest software, the infotainment system is better than basic, but we’re not sold on it. 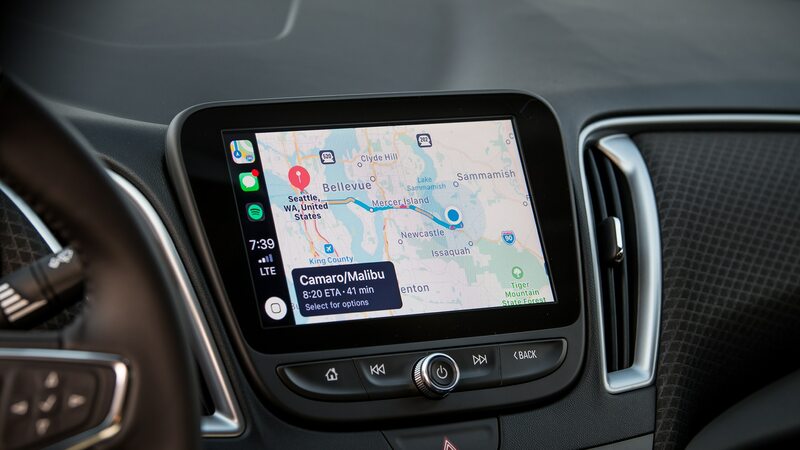 For one thing, we couldn’t figure out how to enter a destination and had to call OnStar for navigation. 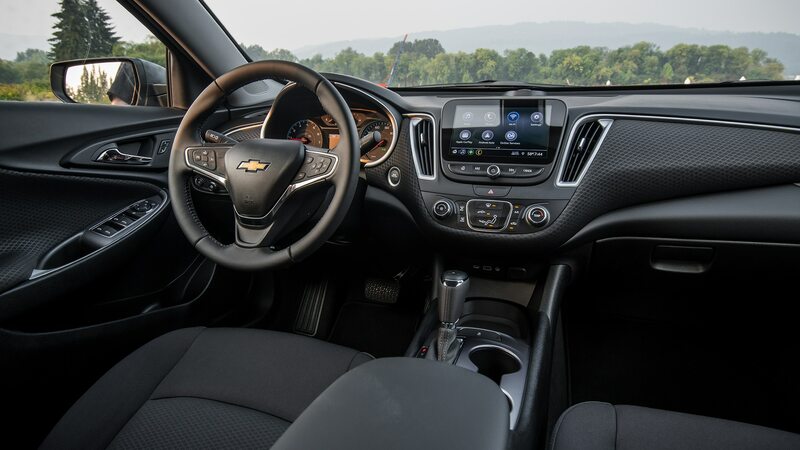 The 4G LTE connectivity includes a Wi-Fi hotspot, and it was useful when we twice found ourselves off-course. 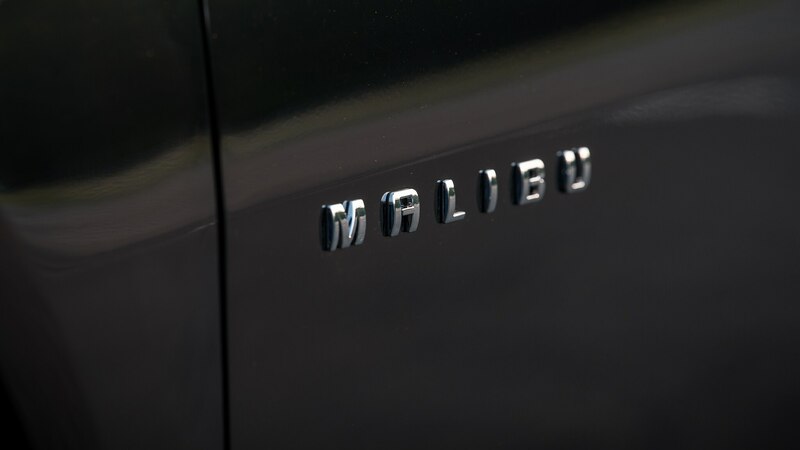 Overall, we found the Malibu RS very pleasant and never once thought of rental cars. 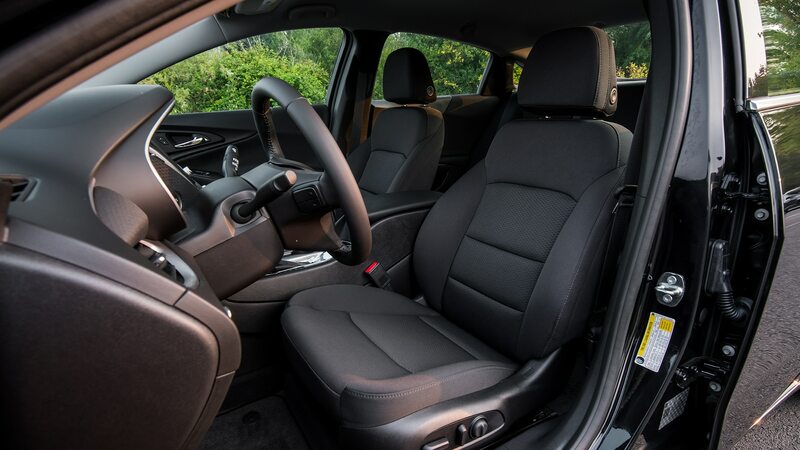 Ride and handling are good, quiet prevails inside the cabin, the steering is right on the money, and powertrain response is snappy enough to suit us. 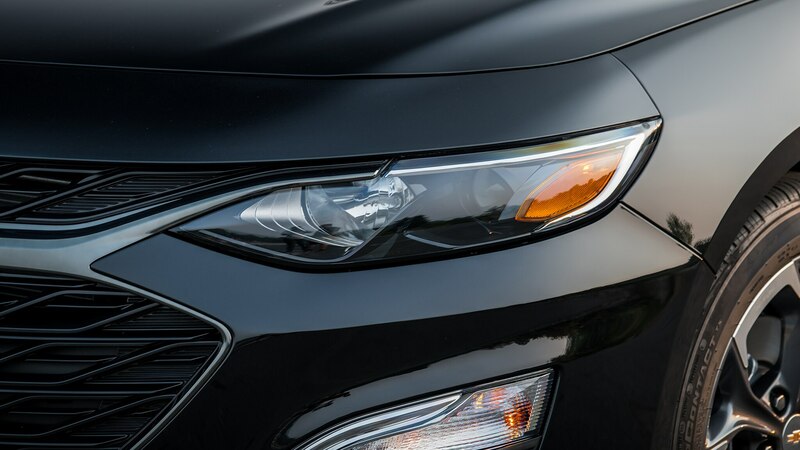 The car appears to be well made by those shocked workers in Kansas City. 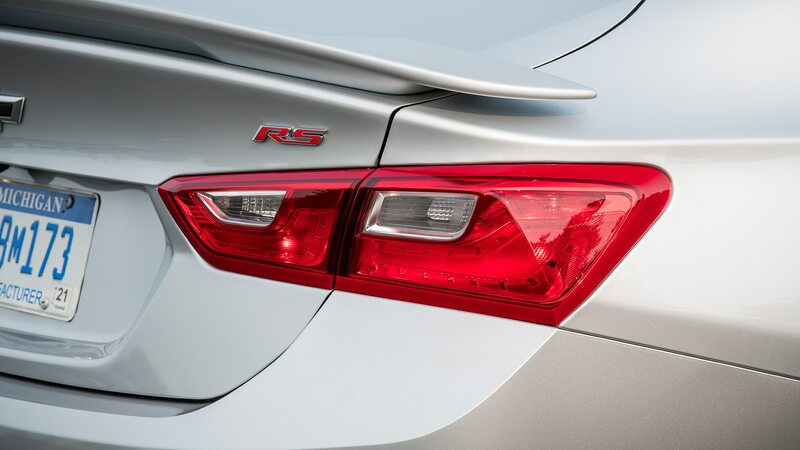 And it sure looks good. 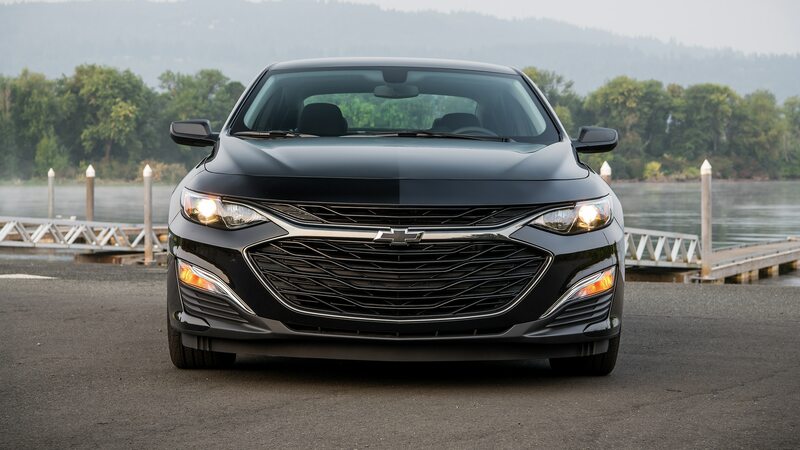 The unique, sporty grille and new lighting treatments, as well as those aggressive machine-finished wheels, will prove to be enduring delights. 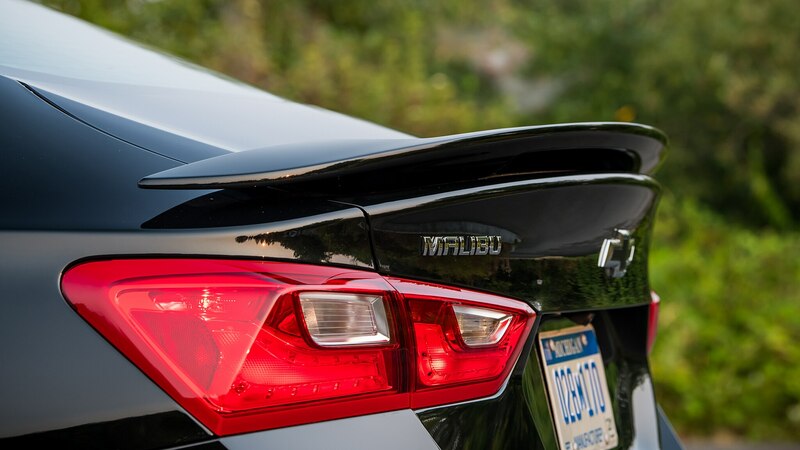 The Malibu RS is such an easy car to recommend—one of the better family sedans ever produced by a Detroit company—that it makes us pause to ask if Ford’s plan is at all sound.